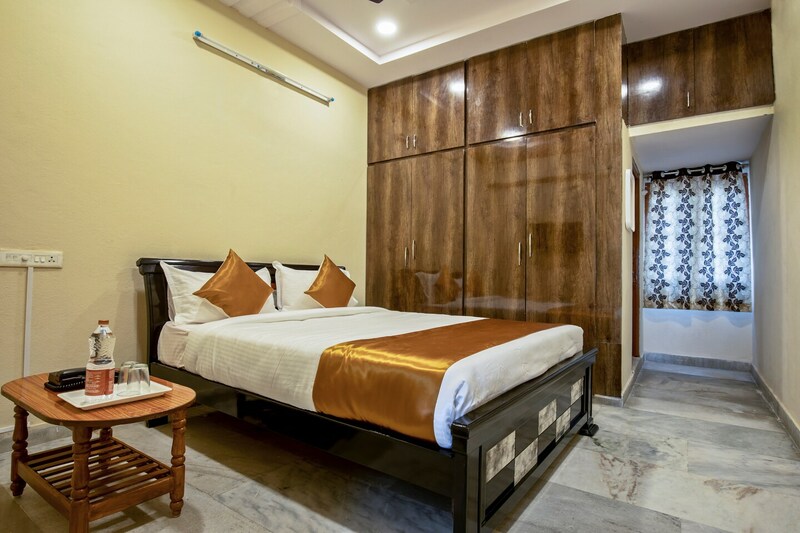 Hotel Pushpa Grand is a subtle and well-kept property located in Prashanth Nagar, Hyderabad. Tourist attractions nearby the hotel include Hanuman Temple, Vanasthali Deer Park, and Chhina Temple. The property is painted in neutral colors to give it a natural and airy look. The interiors of the rooms, lobby, and the receptions are adorned with dark toned wooden furniture. The rooms have large wardrobes and are neat. The hotel provides free internet and parking facility. Some of the Restaurants nearby include 7th Heaven, The Capitol Foods, and KS Bakers.